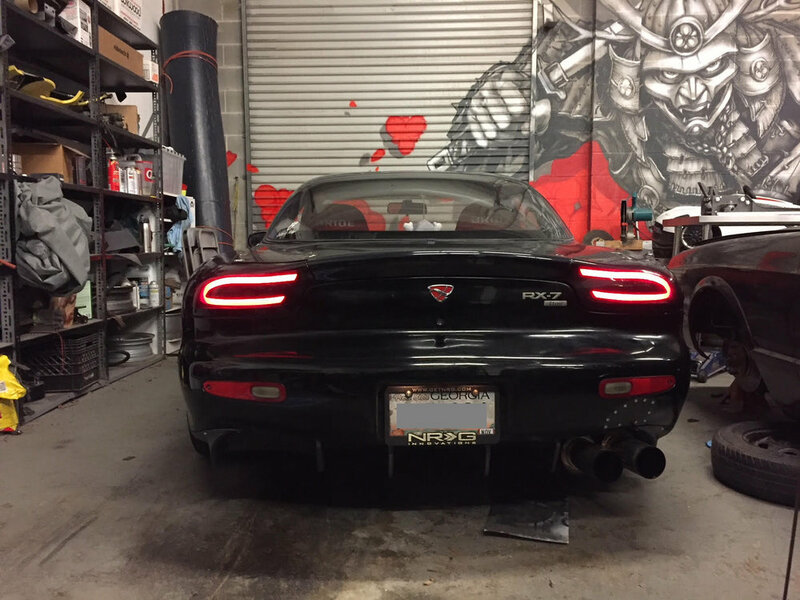 We recently finished up these custom LED lights for a FD RX-7. This particular one was actually in the Black Cloud family in the past so working on it felt a little bit like being a time machine. 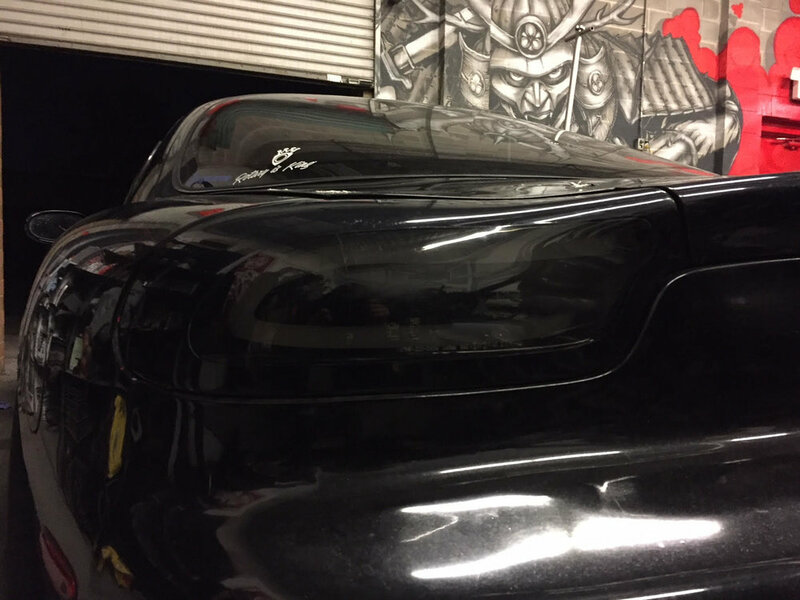 Fortunately it is now in the hands of some good guys who are doing a lot of good work on it. We were happy to help out with these lights. The diffused "C" shape acts as running, brake, and turn signal. Unfortunately, the pictures don't do it justice.